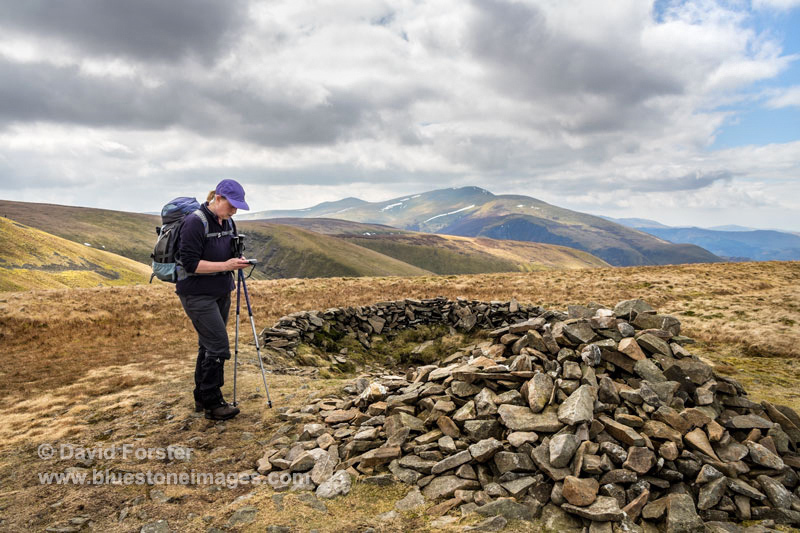 Hiker and photographer with a passion for the natural world and wild places. 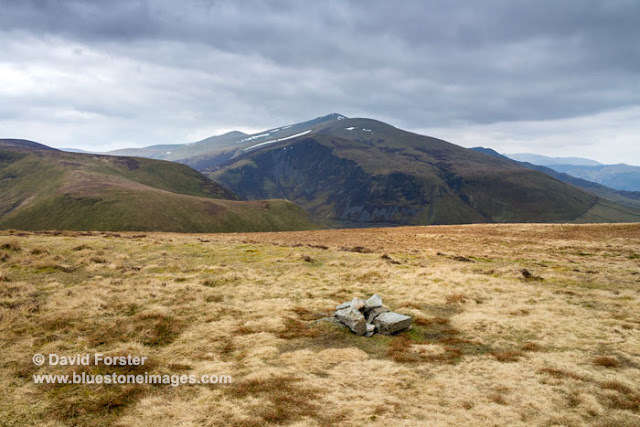 In contrast to our last trip to these fells where we did The Knott, Great Sca Fell and Coomb Height in the snow, this walk had a definite spring like quality. So much so we were warmed by the sun and serenaded by Skylarks most of the way around. 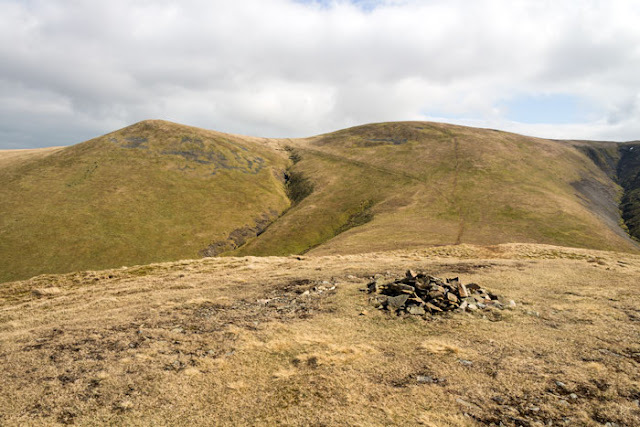 Today's plan was to climb Great Cockup (526m) first, followed by Meal Fell (550m), Great Scar Fell (651), Brae Fell (585m) and Longlands Fell (482m). Parking at Longlands we had a pleasant if occasionally boggy walk up to Trusmadoor. From here it was a steepish climb up onto Great Cockup. To start with the skies were uniform grey, but once on the summit a few breaks began to show through the murk. 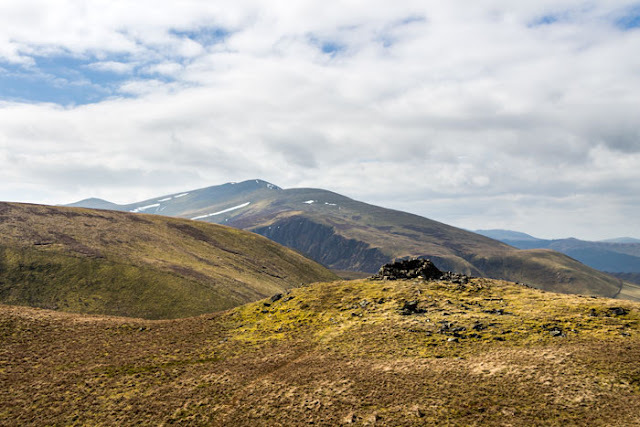 The summit of Great Cockup with Skiddaw beyond. 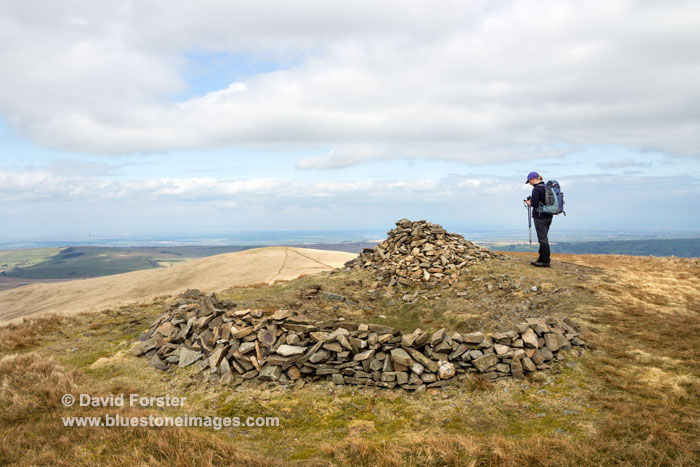 Rather than bag the summit and charge off, we also visited the Western top before retracing our steps to Trusmadoor. Here we had a nice chat to an elderly chap who had completed the Wainwright's some time ago and was now revisiting some. From here we made a short steep ascent to Meal Fell, which had a stone shelter and multitude of small cairns marking each and every high point. Having visited them all we headed up to Great Sca Fell, but as we had already been on the summit a couple of weeks earlier, we made our way up to the col between the main summit and northern top. 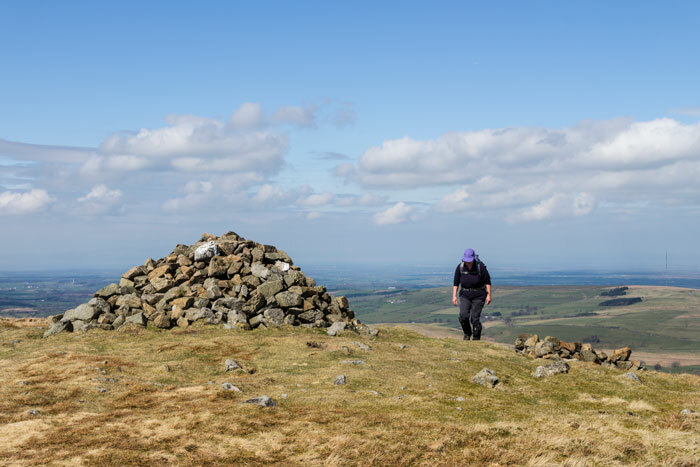 From here it was easy walking to Brae Fell where we sat in the sun for a well-earned break and the scoffing of egg sarnies. This is the first warm weather we have felt for months and after our sandwiches and coffee it was tempting to laze away an hour. 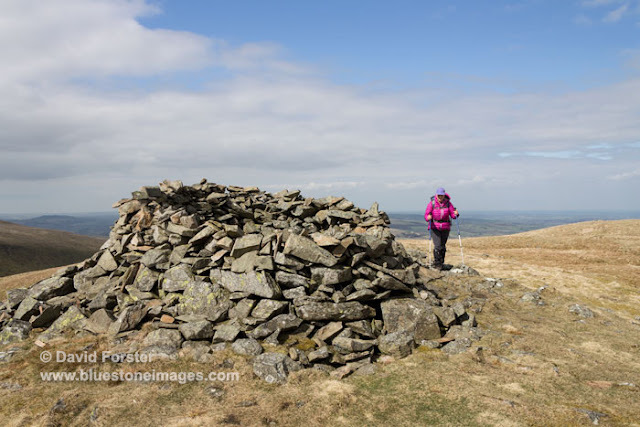 Brae Fell and the view North. That said the ground was a bit too wet for laying around so we made our way back towards Great Sca Fell for a couple of hundred metres before striking off towards Lowthwaite Fell. While not a Wainwright it is a pleasant route leading to Longlands Fell, our final Wainwright of the day. 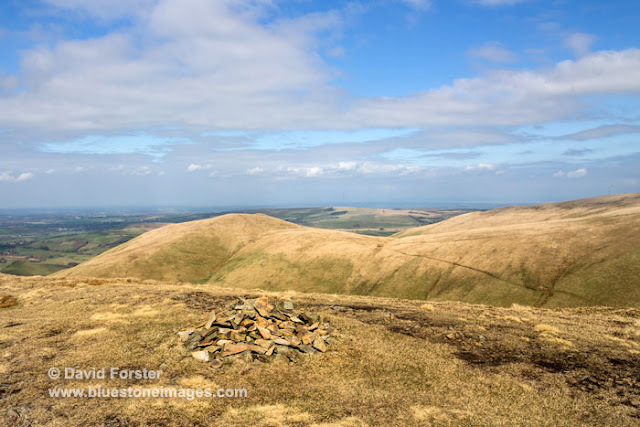 These rounded hills mark the boundary between the lakes and the lowlands stretching off towards Scotland and despite the haze we could still pick out the Solway Firth and the Dumfries and Galloway hills beyond. After this it was an easy stroll down to the Cumbria Way and then back along the track to our start point. That's 105 of Wainwright's of 214 completed. Three or four trips should take us below the 100 left to do mark if all goes to plan. Two Days Exploring North Pennine History - Aircraft crashes and peat slides. 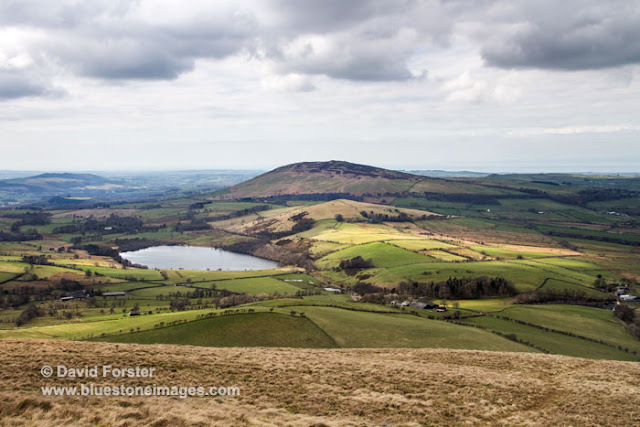 All images and text are the copyright David Forster. Do not reproduce without written permission. Simple theme. Powered by Blogger.